Why Choose Three Sim Only Deals? All sim only plans from 3 Moble now come with a personal hotspot for tethering of up to you monthly data allowance. Taking you phone abroad? All plans include Go Roam Around The World. With 71 international destinations including Spain. USA and Australia as long as you stay within your monthly allowance you can call, text and browse whist on holiday with no extra charges. With Go Binge you can use your favourite apps without using any of your data*. If you choose a sim only plan with a minimum of 12GB inclusive monthly data you receive unlimited streaming on popular apps such as Netflix, Apple Music, TV Player, Deezer and Soundcloud**. Alternatively, you can Snapchat away as much as you like without using your data. *As long as you still have some of your normal data allowance left. **Subscription costs not included. 3 Mobile offer a wide range of sim only deals, in fact at the last count they had 44 different sim only contracts available. So no matter what you need in a sim only contract, the chances are that 3 Mobile will offer a suitable plan for you. There are two main types on sim only plans on offer. The Three Essential Plan or the Three Advanced Plan. Both plans differentiate between a wide range of minutes and data, dependent on your requirements, but the main difference is that one offers a personal hotspot allowance and the ability to use your plan in international countries. So Why Choose Three Sim Only Plans? If you buy a mobile phone outright or have come to the end of your mobile contract, you may want a new sim only contract rather than signing up to a new mobile phone contract. There are many reasons you may want to do this but first of all you need to make sure that for your sim card to work, your mobile phone is or can be unlocked to the 3 Mobile network. 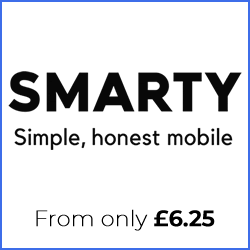 Many people choose to buy a mobile phone outright and then sign up to a sim only contract. By doing this the chances are that you will save a lot of money compared with a 24 month mobile phone contract. They will still need a sim card, but are free to choose whichever sim only plan that meets their requirements. 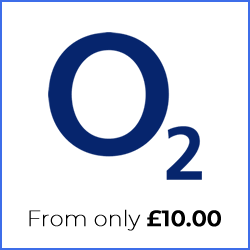 If on the other hand, your mobile contract has come to an end and you are happy with your current phone, you may wish to save even more money by opting for one of the many Three Sim Only Deals they have on offer. Also, this can apply if you have an iPad or Android tablet that is mobile enabled. For this you would need a 3 Mobile sim only plan that is for data only. For your sim only plan, Three offer a wide range of choices. You can choose Pay As You Go sim, a one month rolling Three sim card plan or 12 month sim only deals. As a general rule the 12 month plans work out cheaper over the year but if it is flexibility to change your plan when you want then a 1 month plan may be the best option for you. All 3 Sim only deals offer unlimited texts, also known as all you can eat texts so you will never go over your monthly allowance. If you want to use your phone in faraway international countries there are plans to do so. 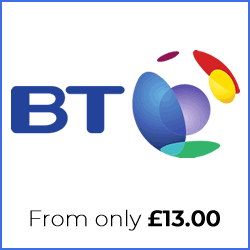 If you plan to use your sim in the UK and Europe, then why pay the extra? 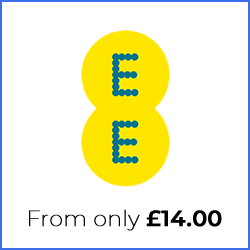 3 Mobile also offer sim only plans that are inclusive of UK calls, European calls, texts and data only. The 3 Mobile Essential plan ensures that you are in control of your spend at all times. It includes all that basics that you need such as calls, text and data. This way you are not paying for extras that you may not use such as a mobile hotspot or international calls around the world. Many people make the mistake to think that this plan does not include ‘Feel at home in Europe’ but in fact it does. You can still use your allowance in most European countries. One thing this plan does not include is calls to the customer services. You also get the My3 mobile app and Wifi on the London Underground. The Three Advanced Plans offer all the benefits of the essential plan and much more. Feel at Home Around the World offers many more worldwide destinations beyond Europe including Australia. Each feel at home plan also offers a certain amount of data that can be used as a mobile hotspot. You also get free calls o customer services. 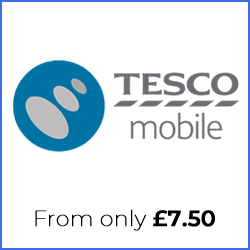 It is worth noting too that when paying by Direct Debit you receive an included £5 discount. In other words if you do not pay by Direct Debit, you monthly charge will be £5 more than any of the prices stated. 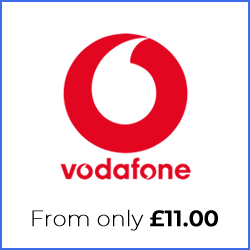 With a Three Sim Only there are currently more international destinations where you can use your allowance than any other mobile network (with an Advance Plan). In fact there are currently 60 countries including Australia, USA, Spain, France, Singapore and Brazil. Please be aware that you will be charged for going over your allowance. A personal hotpspot is where you use your mobile phone as a modem so other devices can connect to them to access the internet, also known as tethering. Hotspot allowances are available only with Advanced plans otherwise you may be charged extra for any data that is used. Got a Three sim? Did you know that you can use your mobile phone to access the internet on the London Underground? In fact there is free WiFi at over 130 London Underground stations. We all know that sometimes you are not able to get a good mobile phone signal. With the Three in Touch App, as long as you are connected to WiFi you will still be able to make calls and send texts. With the Three App and My3 Online you are able to keep an eye on your current bill. You can log in and check how much you have spent, what allowances you have left, pay your bill for your sim plan or even view itemized bills.